If you are living or visiting in the Ozark, Missouri area, we invite you to join us for our worship services. We are a fundamental conservative independent Baptist church located right off Highway 65, between Springfield and Branson. All of our services are traditional, featuring old-fashioned gospel hymns and centered around solid Bible preaching from the King James Bible. We are a friendly congregation of born again baptized believers endeavoring to grow spiritually and serve faithfully as we learn, live, and love God’s way. 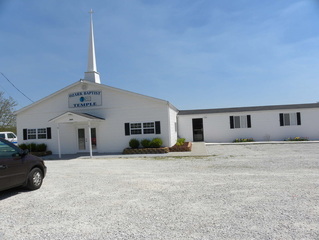 Ozark Baptist Temple is an independent Baptist church in Ozark, Missouri. The pastor is Ed Keithley. This church stands on the King James Bible as God’s word in the English language. They offer Traditional worship services in English. Special service times include Sunday Afternoon Service and Wednesday Service.Their information indicates that they are Unaffiliated in their doctrine and practice.